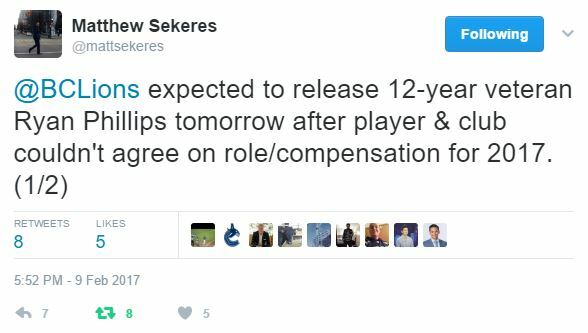 On Friday, the BC Lions will likely announce the release of veteran defensive back Ryan Phillips. It will mark the end of an era in the Lions Den and will be the final chapter of one of the best defensive backfields the CFL has ever seen. Like Korey Banks, and Dante Marsh before him, no player can escape the clock that GM and Head Coach, Wally Buono has in regards to players. Phillips and Buono had been in discussions over his role for 2017, and a reported pay cut as well. The two sides couldn’t agree on those scenarios and it’s reported that Phillips asked for his release. In their prime, Banks, Marsh and Phillips formed “Lockdown U”. A self-named moniker that held true for several seasons and struck fear into receivers and quarterbacks across the CFL. All three should be inducted into the Canadian Football Hall of Fame one day, and if all is right in the world, all three will also be added to the Lions Ring of Honour as well. Dante Marsh never played again after his release, Banks ended up in Winnipeg and didn’t last long after they decided he wasn’t a starter. Phillips obviously still feels he can play and is also chasing that 50th interception, just two away from the mark. 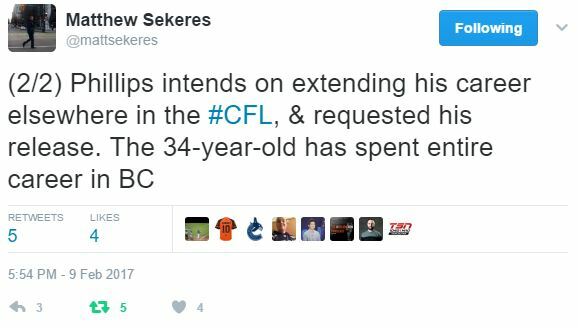 So he will test the waters and see if there are any takers while leaving behind the only CFL team he has played for. Following the release of Marsh, I wrote a blog a bout how Phillips was the last man standing from the trio of Lockdown U. It was meant as a tribute to Ryan, but as any proud player would, he took exception to my thought that while he wasn’t the best tackler on the team, his leadership was invaluable. We talked about it, and I apologized if he saw it as a slight, but it was never my intention to insult him. He played two more seasons for the Lions and was a huge contributor in mentoring young players like Keynan Parker, Ronnie Yell and TJ Lee, among others. At the end of last season, Phillips said he had no desire to play anywhere else but BC. Obviously, he has changed his mind, and he has earned that right to try and continue his career. He’s been around Wally Buono long enough to realize that this day might be coming, and he’s ready to end his career in another uniform, just like Geroy Simon. No player is immune when Buono decides the best before date has come. But make no mistake, Phillips bleeds orange and understands the business of football. Don’t be surprised that when he finally decides to hang up his cleats, he signs a one-day contract in BC and retires a Lion. Very rarely in sports these days do players finish their careers with one team, and Phillips lasted longer than the average player does. 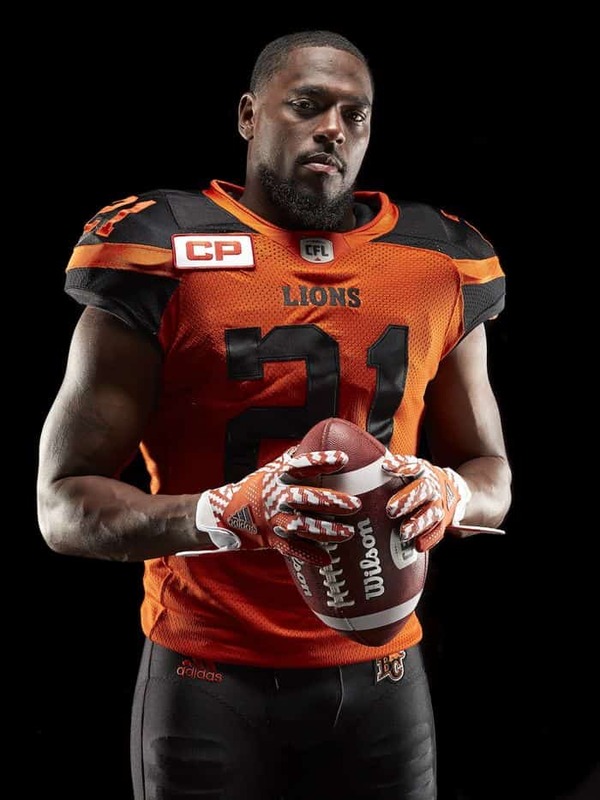 He’s one of the all-time greats, not only as a BC Lion, but as a CFL player, and we were lucky to have him in orange and black as long as we did. He’ll always be a Lion, no matter where he finishes his career and Lions fans will be ready to welcome him to the Ring of Honour, along with Banks and Marsh when and if the club deems it appropriate. And if there is any question about that, this blogger will be sure to be campaigning hard for it to happen. Thanks for the memories RP, and all the best on your new adventure.